I am always super excited at the prospect of adding another bubbleroon to my Lush collection. Heart Throb’s size is in consistency with the other Lush bubbleroons, it does however stand out from the crowd because of its unique shape. Made up of 2 deep-red hearts that are fused together with gold-glitter tinted cream, it is very easy on the eye. 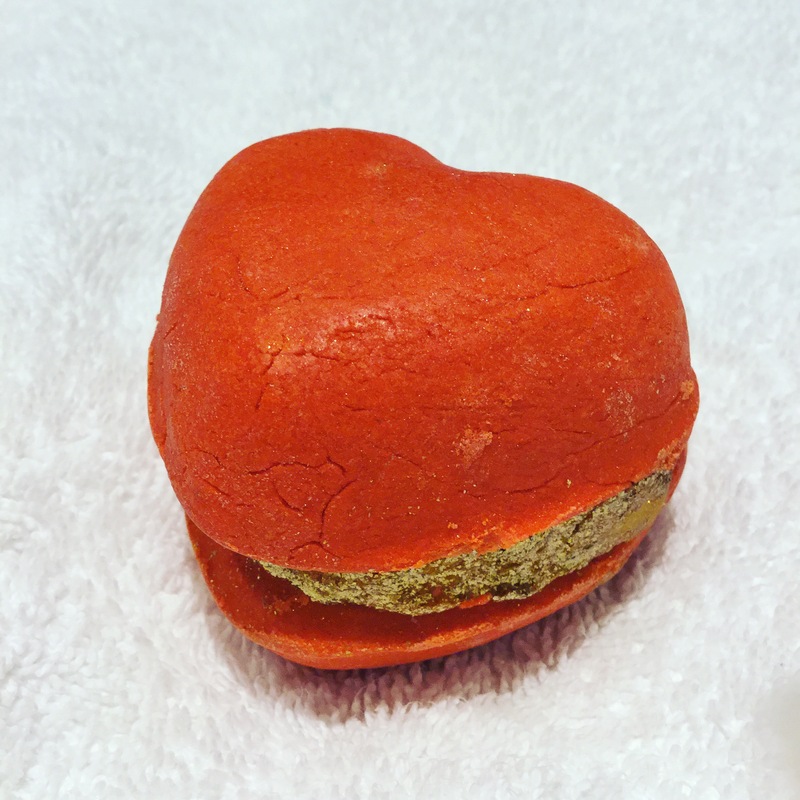 Putting Heart Throb against all of the other bubble bar products I can totally see why Heart Throb has proven to be so popular. 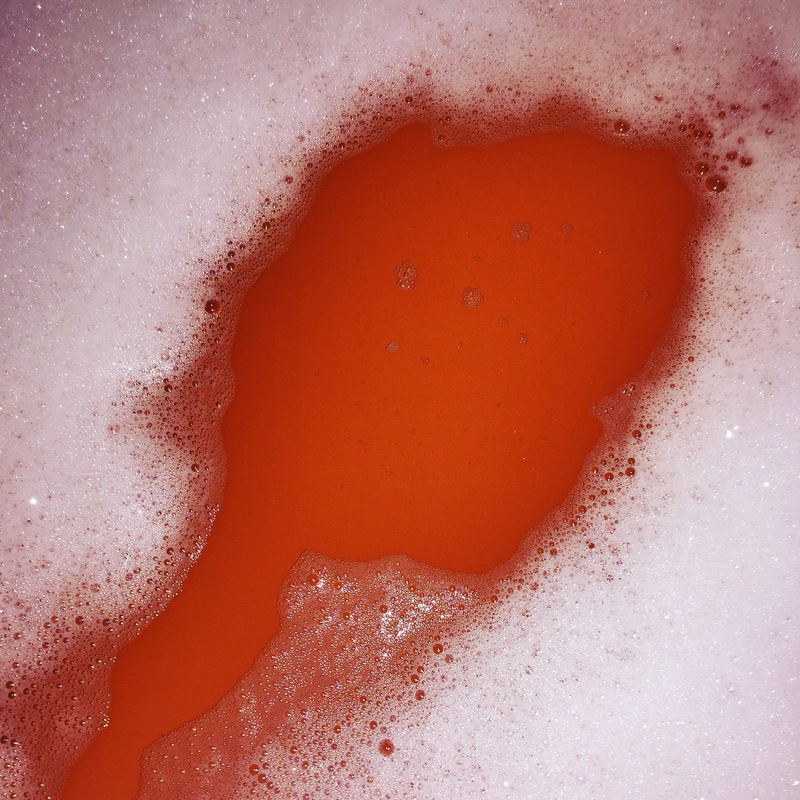 I have read several reviews on this Valentine’s day bubbleroon and all say different things regarding how much of the bubble bar they advise you use per bath. 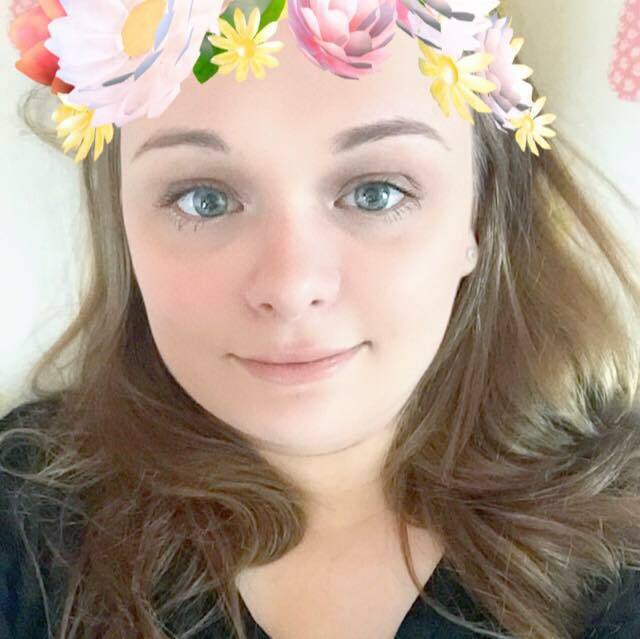 When I first started my Lush journey I on instinct went straight for the bubble bars, not having much money for luxuries meant that the idea of a product that could be used on more than one occasion was ideal. Many people use the whole of a bubbleroon for just one big, bubbly bath. My personal preference is to however break them in half. I have previously tried to break them into 3 or 4 pieces to spread out over several baths, this however made me feel like there just wasn’t enough product to go around. After a lot of experimental-bath time trial and errors, I have come to the conclusion that using the whole bubbleroon for just one bath although fantastic scent wise, provides you with more bubbles than you actually need – that is if you don’t mind attending foam parties and being the only one invited… Just half of a bubbleroon will guarantee you mounds and mounds of beautiful white bubbles and silky-smooth, tinted water that hydrates and soothes your skin. 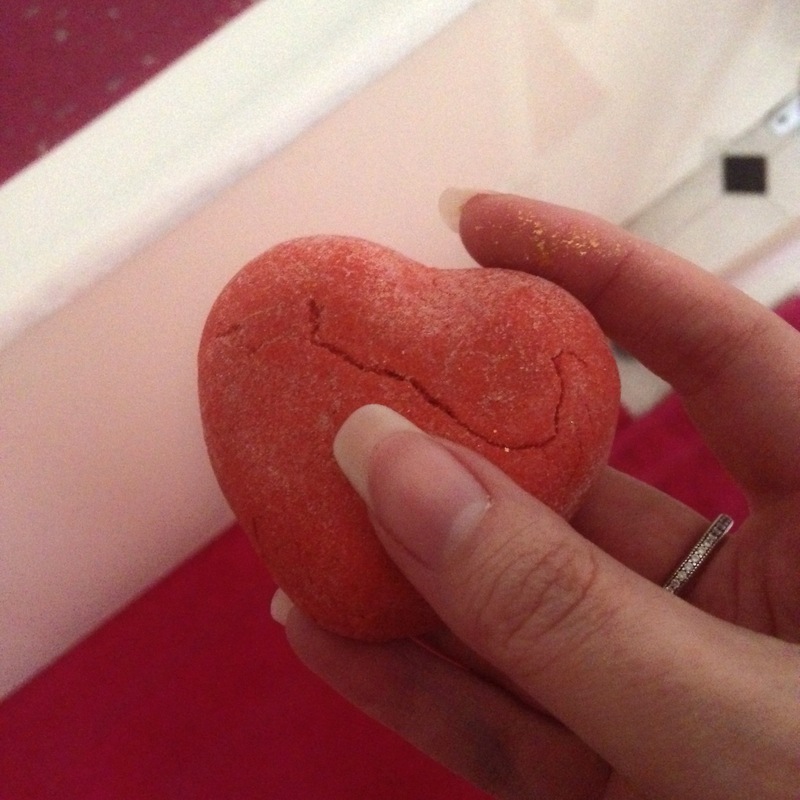 Overall I think the Heart Throb Bubbleroon is a fantastic addition to the exclusive to Oxford Street, Lush Valentine’s line. All though Heart Throb has well and truly impressed me, my favourite bubbleroon is still Yuzu and Cocoa. Never-the-less Heart Throb is a very welcome ingredient for some of the bath cocktails that I have planned in my future.